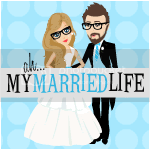 The Infertility Overachievers: 2ww and Some Very Exciting News! 7 days of stims are done! The trigger shot is done! The "baby making" is done! Now, we wait. Today I am officially 2 dpo (days past ovulation). I have to say that this is by far the worst part about trying to conceive. This is the time where you have nothing going on to distract you. There is nothing to stop you from peeing on anything even resembling a pregnancy test even when you know it is impossible to give you an accurate answer. The fact is that at this moment, I could be pregnant. Well, actually I can't be "pregnant" yet, but I might have an 4 cell embryo floating around in there just waiting to make itself at home for the next 9 months. If this were a few years back, before London, I would already be trying to test out my trigger. I am a little more patient this time around though. Right now I have 4 pregnancy tests in my possession; 2 dollar tree tests (my go to test when frivolously testing early), 1 First Response Early Results (my go to test when testing at about 10-12dpo), and a Clear Blue Easy Digital (my go to test to verify any faint BFP lines that might show up ever so faint). So in case any of you are wondering here is my obsessive testing schedule for this month. On Friday April 30 at 7 dpt (days past trigger) and 5dpo, I will be taking a Dollar Tree test. This is just to make sure my trigger is actually gone out of my system. I will be hoping for a BFN on that day. Then on Friday May 7 at 14 dpt and 12 dpo, I will be taking the First Response Test. If its a BFP, you can go ahead and assume that I will be using the digital test to make sure my eyes are not screwing around with me. If the First Response test is negative, I will be testing again on Sunday May 9 with my last Dollar Tree test just to make sure its really a BFN before calling this cycle a bust. I am setting up this schedule in an effort to show some sort of self restraint this time around. I may need to refer all of my new readers back to this post/picture so they can see exactly what I am talking about. I probably could have paid for half of my IVF with the money I spent buying all 191 of those tests. It may take a few days for the switch to be totally finished, but no worries my current domain (greylon.blogspot.com) will forward you to the new one. There is no need for you to update any of your links or bookmarks to my page. Everything will stay the same for all of you, but new readers will have an easier time trying to find me. 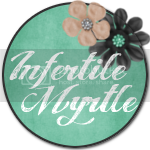 Lastly, I want to remind everyone that this is National Infertility Awareness Week. I am kind of hoping that it's a good sign I am starting my 2ww during NIAW. Fingers crossed, that NIAW will bring me some luck this cycle. Infertility affects 6.1 million people in the U.S. so please visit the NIAW link above or go to Resolve.org and take a minute to educate yourself on infertility. Hi there. Good luck with the 2WW. I hope thisy cycle is your BFP. Congrats on the win for the give away and the new domain name!